Skiing is fun. Loads of fun. 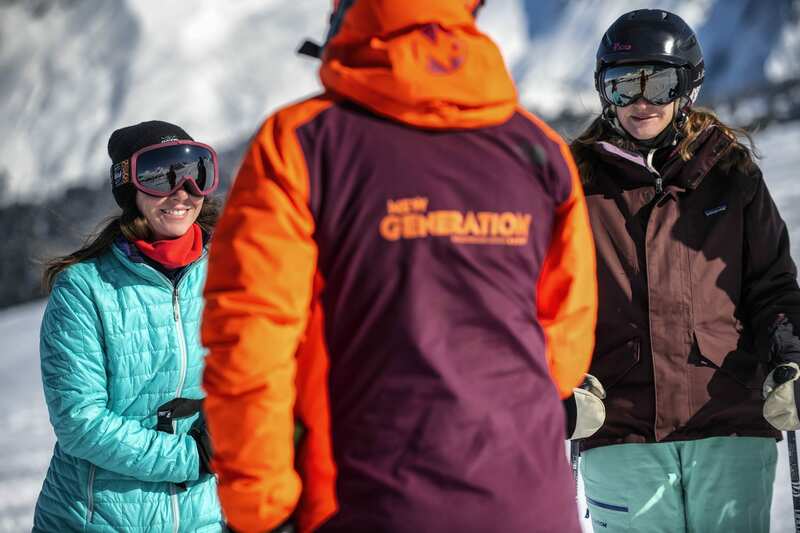 From learning your first turns or tackling your first blue slope, to jumping in the snow park to exploring off-piste and far away from the beaten track. But with every possibility for fun on skis, there is also the possibility for danger. This is something we as a ski school take very seriously. Sure, everyone must accept that strapping two slippy planks on your feet and sliding down an incline brings its own particular dangers. But we give a lot of thought to all aspects of our lessons to ensure that we deal with every situation as safely as possible. Avalanche risk is one of the first things that comes to mind when thinking of safety on the slopes. 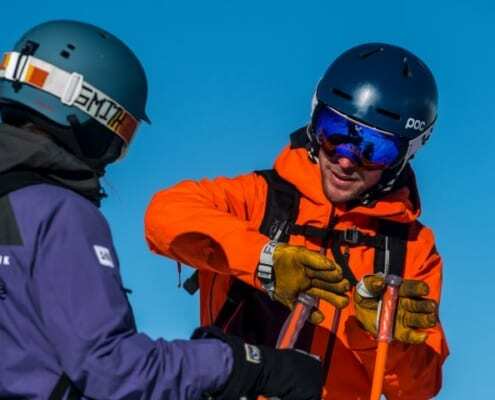 We have a special off-piste team that is responsible for checking our safety equipment regularly. They ensure transceivers and shovels are in good working order and keep a regular record of the snow conditions in resort. They’re also responsible for running transceiver and avalanche safety drills for our instructors twice every season. Even though avalanche safety modules are part of every instructor’s training, every New Gen instructor who takes clients off-piste must do this check drill twice every season. We also run mountain safety talks for seasonnaires early in the season. This covers the risks associated with avalanches, including how to read avalanche signs, to help them make sensible decisions when skiing in the mountains. We also run off-piste and safety courses throughout the season for them to further their knowledge. And thus keeping more people on the hill safe. If you’re skiing off-piste, ensure you know how to stay safe in the backcountry. We know you entrust us with your kids and we take that trust very seriously. We want to make sure that your kids are looked after but also that the duty of care from instructor to parent is exchanged in a clear and recorded way. This is why we operate sign out sheets at the end of our children’s ski lessons. This ensures every child is accounted for from the start of the lesson to the handover at the end. It takes a little time at the start of the week and a little time at the end of every lesson, but it provides peace of mind for everyone. Skiing during school holidays? How to stay safe and avoid the crowds on the slopes. Gone are the days of hats and headbands and the people without helmets on the slopes are very much a minority. All the kids in our children’s lessons wear helmets and so must every New Gen kids instructor. If a child has to wear one then we think it’s important that our instructors set an example. Helmets are a great thing for snowsports and we want to help promote this safe practice. How to check your helmet to ensure it’s still in good condition for another season. On any given day an instructor is thinking about your safety. If it’s cold then we will stay at a lower altitude (especially with kids). If it’s foggy we may head for the trees to search out better visibility. If the pistes are particularly chopped up or icy then we may opt for an easier gradient to help you progress. Part of making an effective lesson and improving your skiing is making the right choices about what and where to learn. In negotiation with you, our instructors can make informed decisions about the best path to improve your skiing. Sometimes the right thing to do is to push you on and tackle something you never thought possible. Sometimes the right thing is to make things easier for you for a while in order to consolidate the techniques and moves you are putting in place. These decisions, at either end of the spectrum, are helped along by the experience of our highly qualified team but are always made with safety in mind. 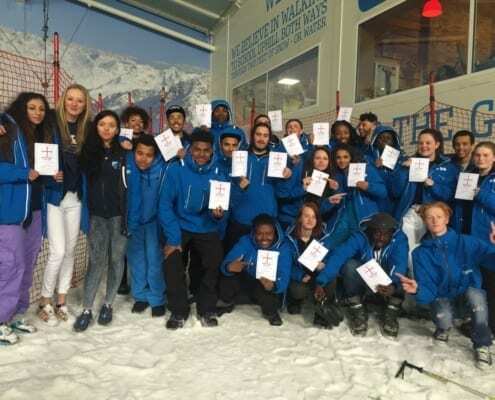 With high-quality instruction from our team and a bit of ski safety knowledge, you can rest assured that you and your instructor have taken every measure possible to stay safe on the slopes. And then, you can enjoy it worry-free! 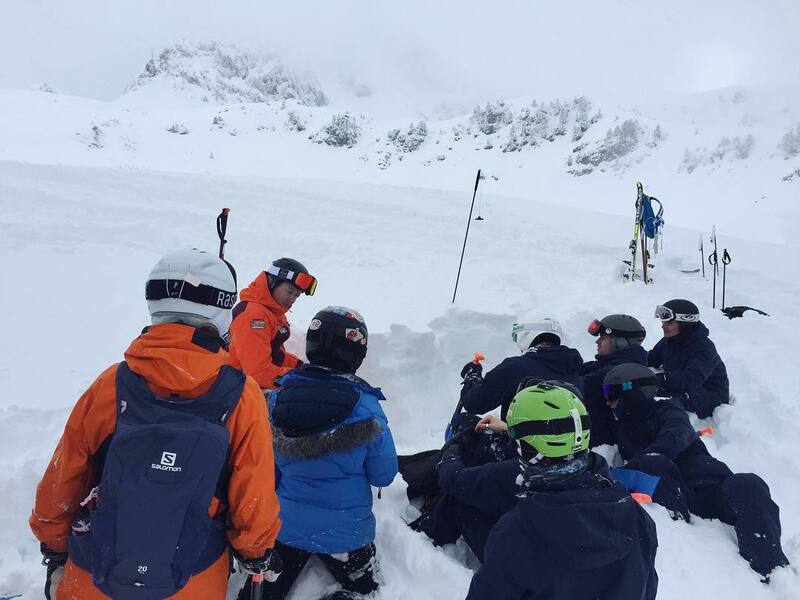 Want hands-on training on avalanche safety? Sign-up for an off-piste course and specific you want to focus on safety equipment.